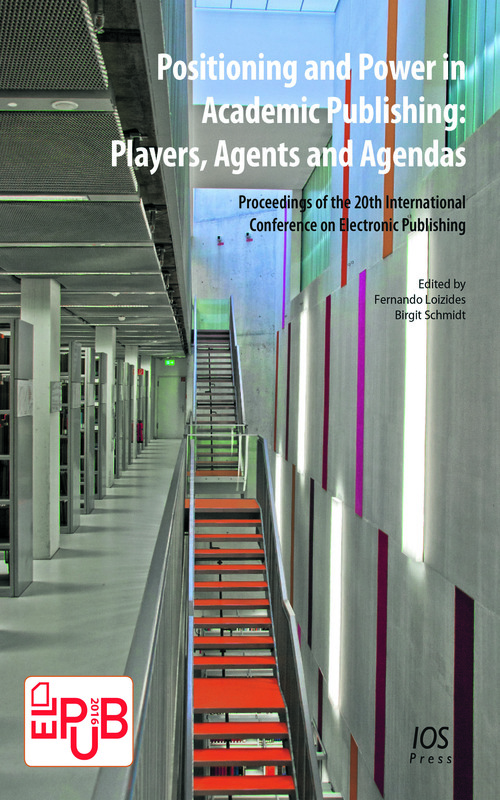 This book presents the proceedings of the 20th Conference on Electronic Publishing (Elpub), held in Göttingen, Germany, in June 2016. This year’s conference explores issues of positioning and power in academic publishing, and it brings together world leading stakeholders such as academics, practitioners, policymakers, students and entrepreneurs from a wide variety of fields to exchange information and discuss the advent of innovations in the areas of electronic publishing, as well as reflect on the development in the field over the last 20 years. Topics covered in the papers include how to maintain the quality of electronic publications, modeling processes and the increasingly prevalent issue of open access, as well as new systems, database repositories and datasets. This overview of the field will be of interest to all those who work in or make use of electronic publishing. Click here to read about the scientometrics installation that was launched in convergence with the 20th anniversary of the International Conference on Electronic Publishing (ELPUB).